Our new antiseptic cleaner eliminates the need for dish detergent or dishwashers! Smart Choice cleans, shines, de-greases and disinfects with one spray. no spots!!! Each time you wash your dishes, some residue is left on them. The residue accumulates with each washing. Your food picks up part of the residue — especially if your meal is hot ñ and you ingest it. l if swallowed.” Most contain Naphtha, a CNS depressant, diethanolsamine, a liver poison, and/or chlorophenylphenol, a toxic metabolic stimulant. Do you want to be using harmful products to clean dishes that you and your family are going to be eating off of? Laundry detergents contain phosphorus, enzymes, ammonia, naphthalene, phenol, sodium nitilotriacetate and countless others. These chemicals can cause rashes, itches, allergies, sinus problems and more. The residue left on your clothes, bed sheets, etc. is absorbed through your skin, as is everything else you touch. Thus, the success and popularity of transdermal patches. Don’t fall prey to the bombardment of advertisements strongly suggesting that you absolutely need these products. You don’t, but their profit margins do. If declining health is what you desire, use these products. Oven cleaners are one of the most toxic products people use. They contain lye and ammonia, which eat the skin, and the fumes linger and affect the respiratory system. Then there is the residue that is intensified the next time you turn your oven on. Use sea salt and baking soda instead. Pesticides are dangerous. They are responsible for asthma, bronchitis, eczema, migraines, death, hives, joint and muscle pain for 16 million people in this country and the numbers are growing. Antibiotics are pesticides. You may be surprised to find out just how many everyday products contain pesticides, such as toothpaste and shampoo. Most public buildings are sprayed with pesticides on a regular basis. 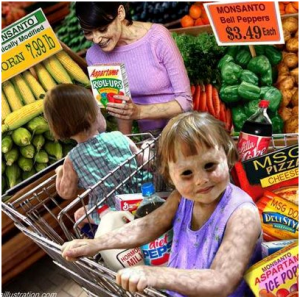 Pesticides are the #2 cause of death by poisoning in this country. They can linger for more than 30 years. Inhalation can lead to nausea, cough, breathing difficulties, depression, eye irritation, dizziness, weakness, blurred vision, twitching, convulsions and more. They are stored in body fat. Long-term they damage liver, kidneys, lungs, and lead to paralysis, sterility, immune suppression, brain hemorrhages, decreased fertility, sexual dysfunction, heart problems and coma. Diazanon is a carcinogen, teratogen (serious birth defects), mutagen (genetic damaging) and it causes death. Pests are not life threatening. Flea collars are pesticides and release a continuous supply to the pet. In addition to the great harm caused to your pet, it is absorbed through your skin every time you touch your pet. Leave your pet a dish of brewer’s yeast; it will instinctively eat it as needed and repel fleas naturally. Please don’t let the vet turn your pet into a drug addict because of chemical exposure and unnecessary vaccines. Regular shampoos contain harsh chemicals. Baby shampoos advertised as gentle and “no tears” contain some of the worst chemicals, including anesthetizing agents to cover up the burning sensation that would otherwise be caused when the chemicals contact the eyes. Imagine what effect these agents have on the eyes and brain, especially after repeated uses. You, your pets and children walk on and absorb the harmful chemicals applied to lawns and gardens. Avoid them. Weeds grow where soils are barren and deficient in certain nutrients — the very ones that these weeds provide. They have longer roots that reach lower into the ground to provide those hard-to-reach nutrients, while preventing soil erosion. If you don’t want them to spread, at least cut off the buds/flowers. It’s usually the chemical dependent lawns that attract the weeds and produce larger ones. These chemicals affect your lawn the way drugs affect you. The more dependent you are on drugs, the sicker you become and the more drugs you take. Its a never ending, vicious cycle of addiction. The less drugs a person takes the stronger their immune system is, and the healthier they are. Its best to avoid them all. The same goes for your lawn. It may take a couple of years for the “withdrawal symptoms” to subside, but the wait will be more than worth it. There is an entire ecosystem below the surface that works interdependently to ensure your soil, and your crops, flourish. The chemicals also kill all these beneficial microorganisms, worms, etc. Nature is our friend, treat it as such. When Congress passed the Federal Insecticide, Fungicide and Rodenticide Act (the legal basis for the EPA’s regulation of disinfectants), it assumed that they were all toxic. No guidelines were created for identifying non-toxic agents. In other words, they are all toxic and to be avoided. Beware of toxic chemicals. The danger doesn’t end with their use. Everything that goes down your drain eventually ends up in your drinking water supply. This is multiplied by what your neighbors and every other person and industry put down their drains. More than four million pounds of household cleaning chemicals go down Canadian drains each year. Everything that goes down our drains and toilets ends up at the water treatment plants where they are mixed with even more toxic chemicals, recycled and returned to us via our water taps (including drugs and poisons we ingested, inhaled and absorbed, then eliminated). Eventually there will not be enough water to dilute all these chemicals and we will end up with pure chemicals coming from our taps. Hence the huge market for bottled water and point of use filter systems. Avoid distilled and “drinking” water. The remaining sludge is extremely toxic and is marketed as “natural fertilizer” called “bio solids.” Its used on farms that supply produce to our supermarkets and the livestock industry. If a product requires special handling or ventilation, don’t expose yourself or your environment to it. This is where you, your family and friends have to live and breathe. Next time you or someone you know feels ill, instead of rushing off to the doctor to get medicated (poisoned), why not look for the cause in a household chemical or food additive and eliminate it? This can save a lot of grief and more toxic overload, which will probably be labeled as some type of serious illness without looking for the cause. Children are at higher risk when playing on floors with the residue from formaldehyde, asbestos and pesticides from common household cleaners. Their respiration rates are three times higher than adults, and their detoxification systems are not fully developed and cannot filter these toxins out. Have you noticed how many children are on inhalers lately? This is akin to putting the fire out with gasoline. The older you are, the more years of accumulation of these toxins you will have in your system. There are tens of thousands of chemicals in use, but if you ever get tested, they will usually only test for 150 or so, and those are probably not the worst ones. That is only about .002%. Its a joke really. Personal care and cleaning products are very toxic. Prior to WWII they didn’t exist, homes were clean, and people had fewer health problems. Do we really want to compromise our health so the chemical companies can become wealthy? How many toxic bombs are lurking in your home? There are many safe, chemical free cleaning products on the market today, or if you prefer — use the basics; baking soda, lemon juice, vinegar and water. You’ll be amazed at what a wonderful job they do. Please do your own research and use the products that are the safest and best for your families. There are numerous books on these subjects. Don’t leave your fate in the hands of multibillion-dollar chemical industries whose only concern is profit. Your shopping habits create a demand for the products you buy. If you don’t like what is contained in the products offered in your stores, let it be known and switch products. Encourage industry to be responsible for their products, as we must be with our purchases. Educate your friends, neighbors and loved ones. Don’t ever give anyone authority over your body or your health. Its your responsibility to be informed. What you don’t know can harm you, and even kill you. Once the damage is done, it may be too late. Lorie Dwornick is a researcher, educator and activist living in Winnipeg, MB. She found out first-hand about the corruption in “the system” through cover-ups, fabrications and deception affecting her own health. This started her trek to get the answers she’d been denied. When she learns of something she feels others need their eyes opened up to, she makes it known so they don’t have to go through the kind of ongoing ordeal that’s been imposed upon her since becoming the victim of an accident many years ago. Victims are being treated like criminals. Lorie — like many researchers — uncovered all sorts of things she wasn’t even looking for. As the saying goes, “the lies are hidden in plain view.” She believes that eventually enough people will be aware of these things to expose the corruption to the extent that some, if not all, of it can be halted. The truth is almost always the opposite of what the propaganda machine (mainstream media) tells us. It is about mass manipulation and control. Do your products contain any of these dioxins, cancer-causing agents, carcinogens, toxins, irritants, or contaminants? DEA (diethanolamine): Interacts with nitrites to form a *nitrosamine carcinogen; very common ingredient found in mainstream cosmetics and toiletries. According to Dr. Epstein, “In studies by the National Toxicology Program, to induce cancer of the liver and kidney when applied to the skin of mice, it was shown to be readily absorbed through the skin and to accumulate in organs. After this clear cut study which was released by the National Toxicology Program, you would expect that the mainstream industry to have acted on this and to replace DEA. Not on your life! There’s been a denial and an attempt to trivialize the risk.” Found in bubble bath, shampoo, liquid soap, body lotions, and many other products. TEA (triethanolamine): Interacts with nitrites to form a *nitrosamine carcinogen. 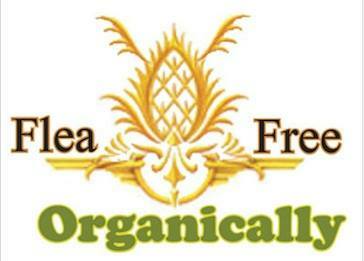 According to Dr. Epstein, “Your best self-protection is to boycott any products containing DEA or TEA. That will send a clear message to the cosmetic industry.” Just like DEA, TEA is very commonly found in creams, lotions, shampoo, and other products. Bronopol: Act by releasing nitrites which combine with DEA to form *nitrosamines. “One of the most expensive lines of cosmetics today, Chanel , often uses this chemical. So do many leading brands of baby products. And the Body Shop, whose product sales are built on a reputation of containing natural ingredients, also offers products containing this chemical. There are many safer yet equally effective products available,” states Dr. Epstein. Padimate-O (also known as octyl dimethyl PABA): Act by releasing nitrites which combine with DEA to form *nitrosamines. Found in cosmetics, especially sunscreens. “The most prudent consumers will prefer sunscreens without padimate-O,” states Dr. Epstein. Para-phenylenediamine Dyes: carcinogenic when oxidized. According to Dr. Epstein, “These are dyes which are extensively used in permanent black and dark brown hair dyes which have been incriminated in a variety of cancers including non-Hodgkin’s lymphoma and multiple myeloma.” Something to think about: Jackie Kennedy used to dye her hair black every two weeks or so and she died of non-Hodgkin’s lymphoma. Coal Tar Dyes: carcinogens. Blue #1 and Green #3 to name only a few. According to Dr. Epstein, “These carcinogenic dyes are often contaminated with arsenic and lead.” Check your toothpaste label on the box it came in! These artificial dyes are in many other products as well. Polyethylene Glycol (PEG): “contaminated with a very potent carcinogen; dioxane and very easily absorbed through the skin,” states Dr. Epstein. Used in a wide variety of personal care products. Sodium Lauryl Sulfate (SLS): skin irritant. It is rapidly absorbed and retained in the eyes, brain, heart, and liver, which may result in harmful long-term effects. SLS could retard healing, cause cataracts in adults, and keep children’s eyes from developing properly. Sodium Laureth Sulfate (SLES): “contaminated with a very potent carcinogen; dioxane and very easily absorbed through the skin,” states Dr. Epstein. SLES is the alcohol form (ethoxylated) of SLS. It is slightly less irritating than SLS, but may cause more drying. Both SLS and SLES may cause potentially carcinogenic formations of nitrates and dioxins to form in shampoos and cleansers by reacting with other product ingredients. Large amounts of nitrates may enter the blood system from just one shampooing! Aluminum: skin irritant. Has been linked to Alzheimer’s Disease. Very commonly found in antiperspirants; it’s used to clog your underarm pores, so you don’t sweat… not a good thing to do! Propylene Glycol: strong skin irritant. A cosmetic form of mineral oil found in automatic brake and hydraulic fluid, and industrial antifreeze. In skin and hair care products, propylene glycol works as a humectant, which is a substance that retains the moisture content of skin or cosmetic products by preventing the escape of moisture or water. Material Safety Data Sheets (MSDS) warn users to avoid skin contact with propylene glycol as this strong skin irritant can cause liver abnormalities and kidney damage. Check out your body lotions, deodorant, hair conditioner, hair gel, creams, and many more products! Mineral Oil: smothers the skin. A derivative of crude oil (petrolatum) that is used industrially as a cutting fluid and lubricating oil. Mineral oil forms an oily film over skin to lock in moisture, but traps in toxins and wastes, and clogs your pores. It hinders normal skin respiration by keeping oxygen out. Alpha Hydroxy Acid: skin irritant. An organic acid produced by anaerobic respiration. Skin care products containing AHA exfoliate not only dead skin cells, but the skin’s protective barrier as well. Long-term skin damage may result from its use. Collagen: may suffocate the skin. An insoluble fibrous protein that is too large to penetrate the skin. The collagen found in most skin care products is derived from animal skins and ground up chicken feet. This ingredient forms a layer of film that may suffocate the skin.